Open and frank discussions are the best way to build mutual understandings and find ways to further enhance cooperation. There were plenty of those fruitful discussions when the EUCAP Somalia Head of Mission (HoM) Maria-Cristina Stepanescu visited Puntland from the 12-14 August and met with the President of Puntland State of Somalia, Hon. Dr. Abdiweli Mohamed Ali and several important stakeholders including ministers and the Chief of Staff of the Office of the President. Ms. Stepanescu and her interlocutors discussed the current engagement and impact of EUCAP Somalia in Puntland. The possibility of “re-energising” the Joint Maritime Information and Coordination Centre (JIMCC) was discussed as an example of a tangible project that got stakeholders excited. Gender mainstreaming and exploring opportunities for women in the maritime sector featured high on the agenda when the HoM met with the Minister of Women Development & Family Affairs, Hon. Dr. Marian Ahmed Ali. 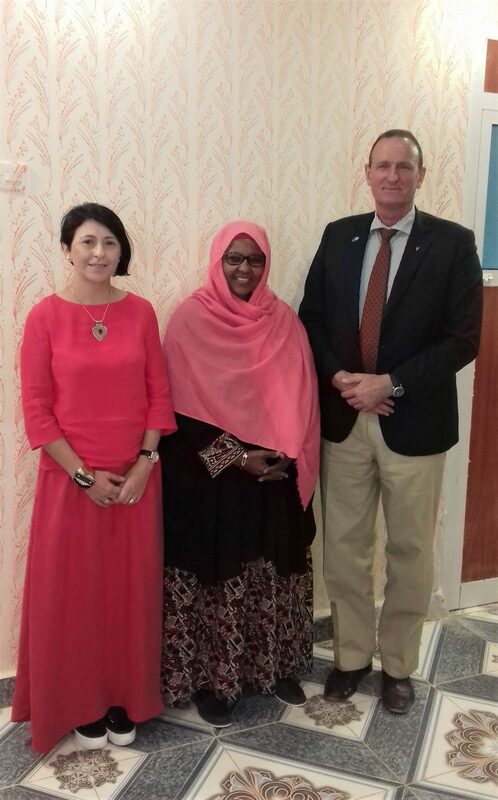 EUCAP Somalia agreed to offer technical support to Puntland nominees for a planned consultative Conference on Women in the Maritime Sector in Mogadishu and to work closely with the ministry to pursue common objectives. 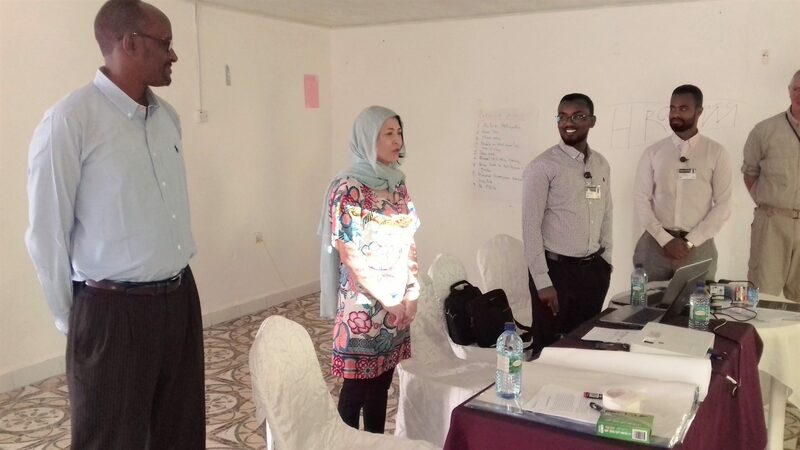 The Head of Mission also joined a “Police –Judiciary Cooperation Workshop” where she heard a presentation by the Bureau of Forensic Science based in Garowe. The President of Puntland and EUCAP Head of Mission exchanged views in a frank and open manner and sought ways to further improve the effectiveness of EUCAP Somalia programmes in Puntland. 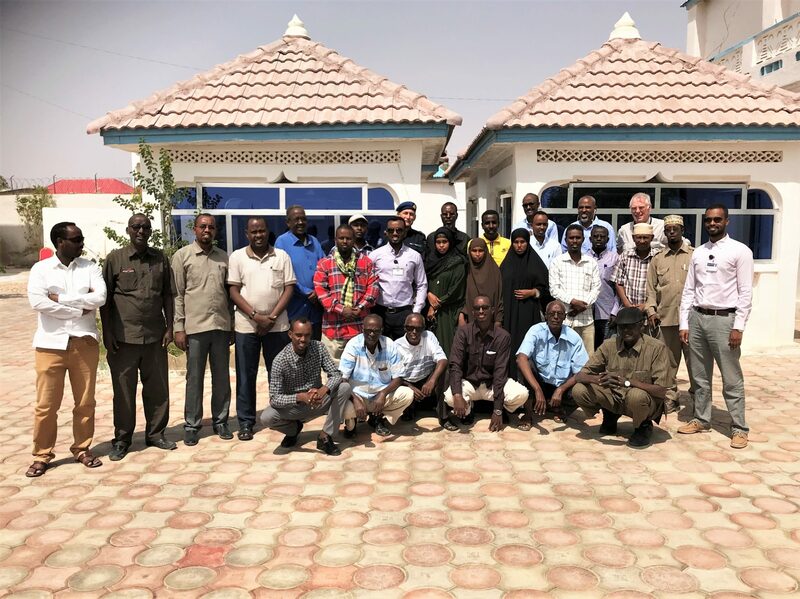 However, it became clear that EUCAP stakeholders wanted to see even stronger engagement and visible results of EUCAP programs in Puntland. Head of Mission reiterated EUCAP Somalia’s mandate and discussed the ongoing planning process to develop future engagement and activities. The stakeholder ministries of Puntland provided their respective points of view and expressed their appreciation of what has been achieved so far. The Minister of Planning and International Cooperation, Mr. Shire Haji Farah, stated: “Rome was not built in one day but where there is a will, there is a way.” Mr. Farah specifically mentioned the need to develop coastal areas and introduce policing capacities to remote regions. Mr. Farah also emphasized Puntland authorities require more training to enhance their skills. And that is exactly the area where the European Union Capacity Building Mission can and will support the efforts of the Puntland authorities. A Joint Planning and Review Meeting with all stakeholder ministries will be held at the Ministry of Planning and International Cooperation on August 27th 2018. That meeting will give an excellent opportunity to further develop the EUCAP engagement in Puntland.